Edinburgh, Scotland,United Kingdom. 30 December, 2017. 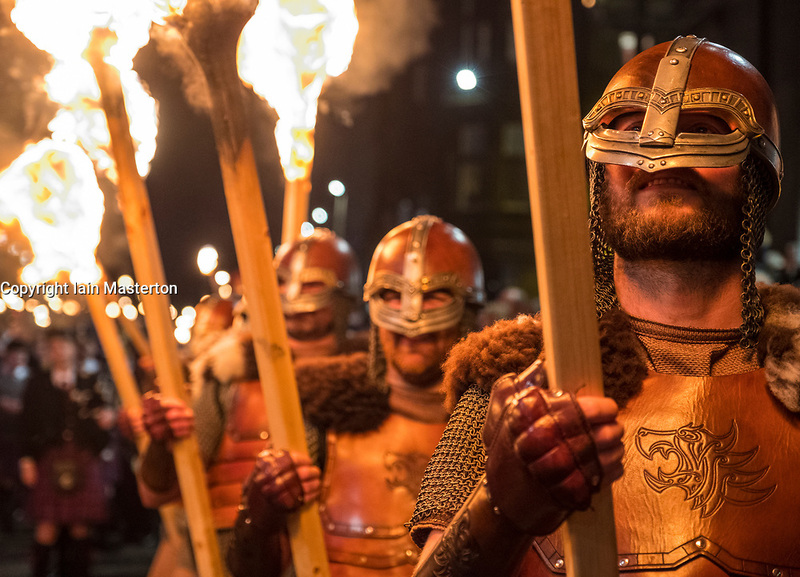 Members of legendary Up Helly Aa Vikings from Shetland, in full costume and with flaming torches before Torchlight Procession which forms one part of Edinburgh’s Hogmanay celebrations.